The original split-screen Volkswagen Type 2 is one of the 20th Century’s most famous design icons. 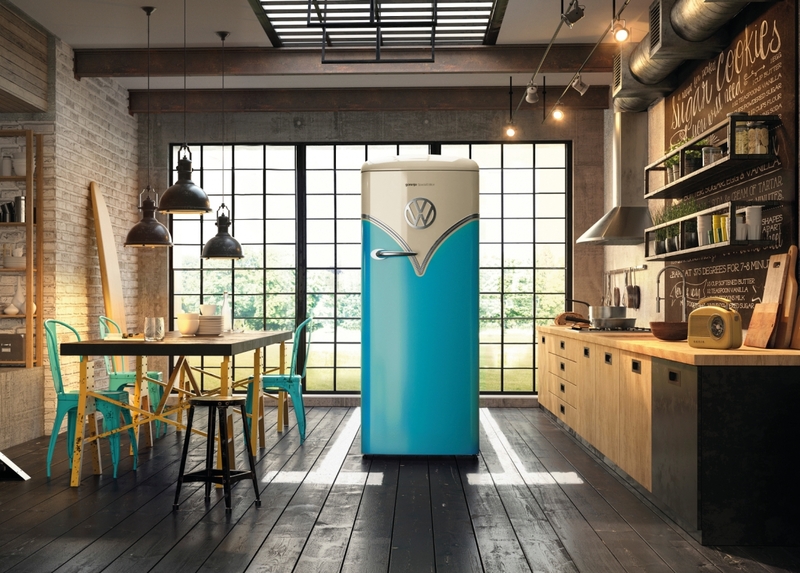 For nearly 70 years, the split-screen camper van – great grandfather of the latest Volkswagen California – has captured people’s imaginations and now, with the Gorenje VW fridge, you can bring a little bit of its ice cool style to your kitchen. Based on their smooth-edged, retro-inspired ORB 153, Gorenje’s new fridge freezer features a fresh door design that mimics the camper van’s signature front end styling. 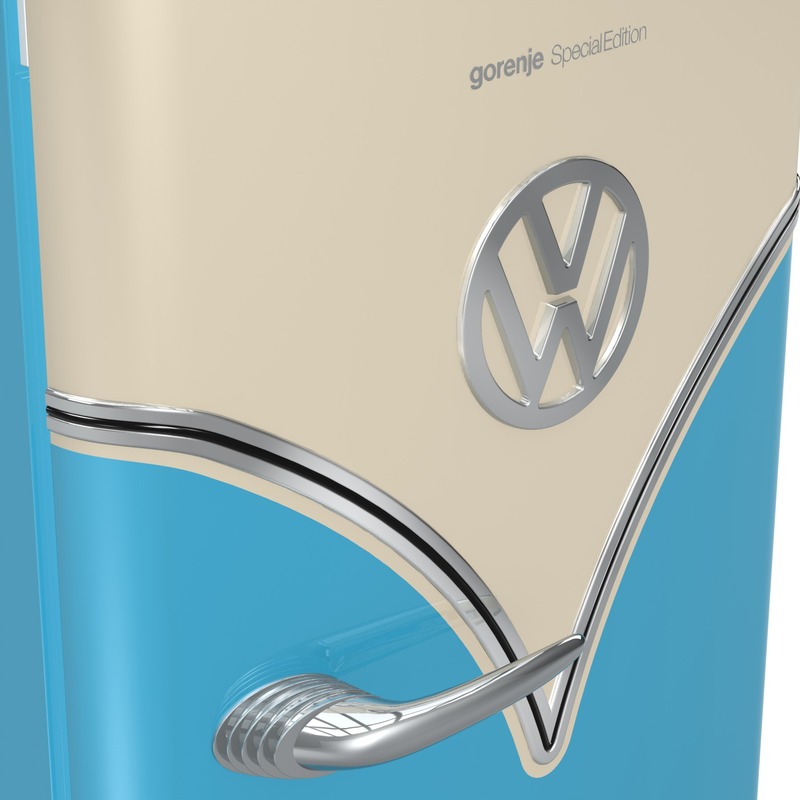 Officially licenced by Volkswagen, the freestanding fridge comes fully branded with a large chromed VW insignia and is available in a pair of two-tone colour ways: cream over baby blue, and cream over Bordeaux red. In terms of the actual fridge-y stuff, the Gorenje ‘Bulli’ (so called after one of the famous camper’s nickname) has a capacity of 260 litres and comes with an eco-friendly A+++ energy rating. It also comes with IonAir and DynamiCooling tech which supposedly helps to keep your food fresher for longer by mimicking “the natural microclimate”. Sounds pretty fancy to us, but we’re simply smitten by the stylish retro looks.